The next day, in my jaded state (no, I wasn’t hungover because I was 19 and still superhuman), I looked at it again and couldn’t believe how beautiful it was, especially as I could now see the stunning countryside surrounding it. So, several years and many visits later (visits which included a trip to The Checkmate, getting lost at The Big Cheese, meeting the in-laws and unsuccessfully trying to swim the moat), I finally moved here! I still loved the castle but, more than that, I loved the character of the people. Everyone was always so friendly and it seemed like a great place to raise a family. The only thing that surprised me was how hard it was to find out what was going on. I joined loads of FB groups, followed loads of pages but, to be honest, most of the events I found out about were through word of mouth; I knew I wasn’t hearing about everything. The final straw came when The Tempest was on at the castle but no one I knew, knew anything about it. It was then, whilst I was standing in the kitchen making dinner, that I thought to myself ‘Right don’t just moan about it, do something! ‘ And that is when I started The Big Phill! So, here I am a few months later and with the help of all my wonderful followers, some lovely friends and a very patient husband; I’m starting to make a difference. 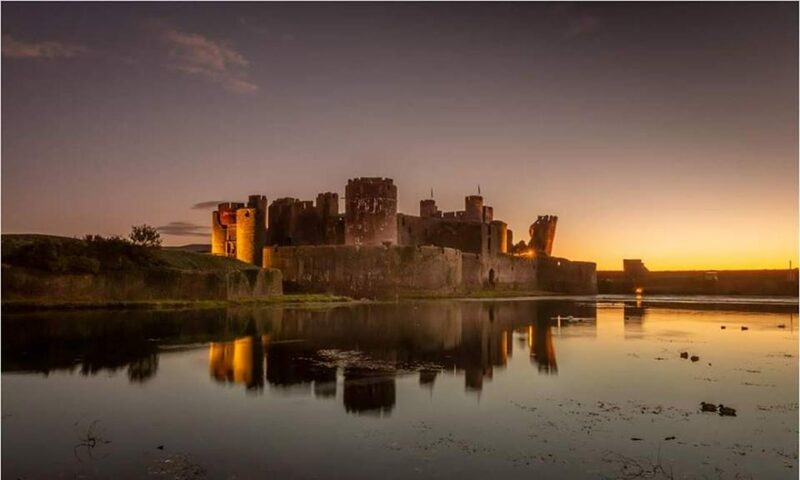 … Starting to show how awesome Caerphilly is and starting to help people find the events that are right for them.